Can't get enough delicious Pearson Ranch Orange Blossom Honey out of the 12 ounce or 5lb jar? 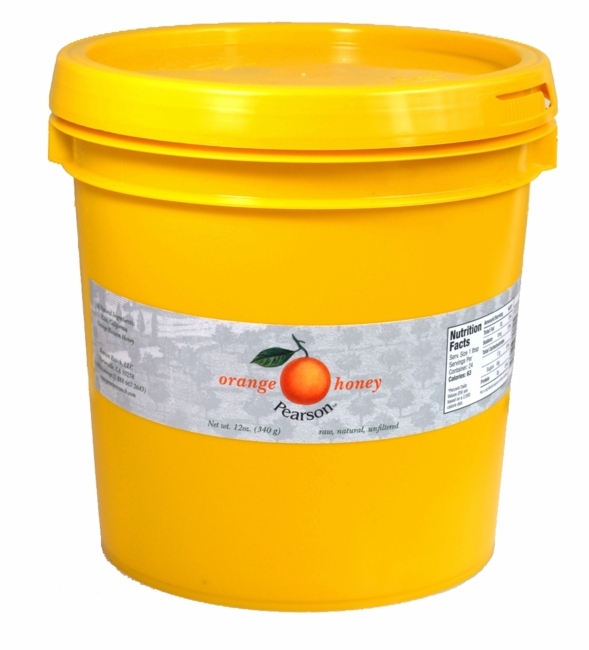 Try buying orange blossom honey in bulk with the 10 pound pail of pure "sweetness"! That's right, get all the wonderfully raw, unfiltered, and all natural orange blossom honey you can handle in our new 10 pound (1 gallon) pail. Whether you need bulk honey for food service use, a large public event, gifts, or for food storage preparedness, Pearson Ranch has it! So start baking those homemade muffins or cornbread and brewing up your favorite tea, and let Pearson Ranch "SWEETEN" your day with pure orange blossom honey.